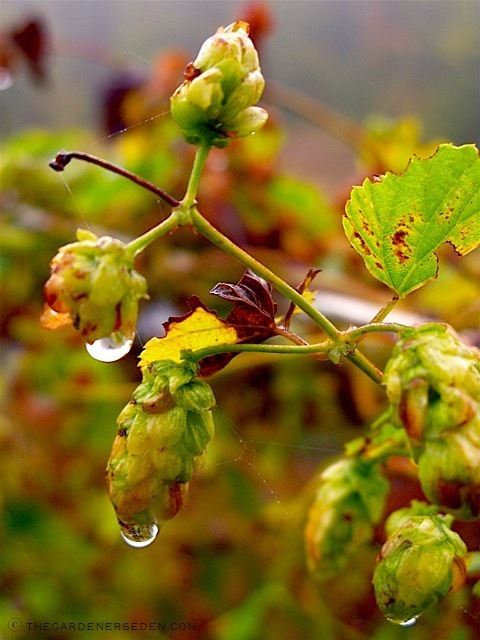 § 7 Responses to I’ve Got Sunshine… On a Cloudy Day: Humulus Lupulus ‘Aureus’, Beautiful Golden Hops Vine"
Beautiful and unusual. I’ve been spending the last hour trying to picture where on my property I might try this! @ Laurrie, I hope you find a spot. I do think it is beautiful, and yes, quite unusual (hard to find.. I am propagating one for a design-client). When I cam back to respond to your comment, I realized my winter shot wasn’t showing up for some reason. It should be there now if you are curious about how it looks, should you choose to leave the vines standing over-winter. I rather like the texture in snow and ice. @ Ali. Great question! Yes, golden hops is beautiful, and no, this vine isn’t harmful to wood or brick (note I have it growing alongside my studio, but it does not scale the studio). 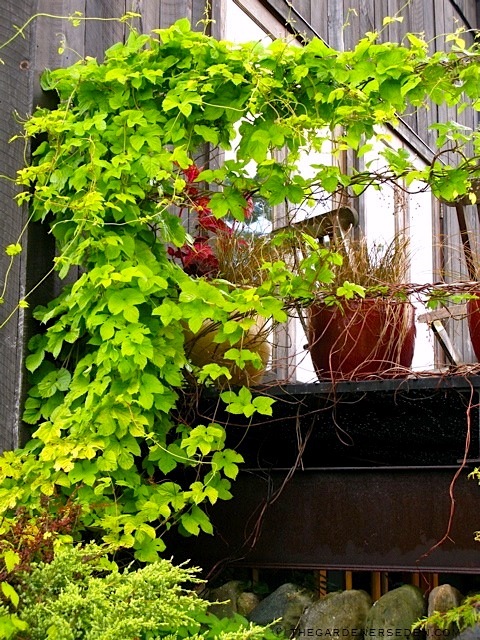 Unlike Hedera helix (English ivy) or Parthenocissus tricuspidata (Boston ivy), Humulus lupulus (Hops vine) is not a self-supporting/clinging vine. 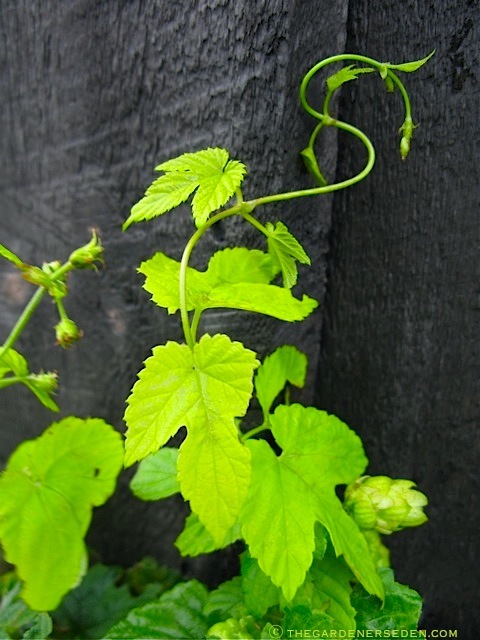 There must be either a trellis, wire or other means of support, for hops to twine ’round – it can not scale a building via its own support (as Hydrangea petiolaris or Hedra helix have adapted to do). And, unlike Wisteria sinensis or floribunda, hops is not a woody vine, and so does not cause structural stress with weight. Hops is a true perennial. 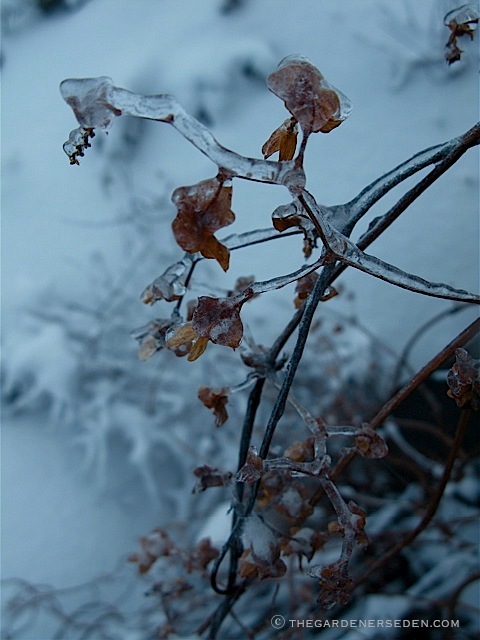 The vine dies back to the ground each year. The old growth can be cut right to the ground, or some parts left to help the new sprouts find their way in spring (as your aesthetic preferences dictate). If there are concerns about moisture being held close to a structure, the old growth should be cut back to the ground in autumn. I would think of this vine as not structurally significant – similar to an annual, or a lightweight perennial like Clematis. If you ever come across a reliable source for this vine I think several of us would like to know! Can they be grown from seeds? I had one in my garden in California and I just loved it. Then one year it just didn’t come back up and I have no idea why… and never found a replacement. However, I want to try one here in my new garden for sure! 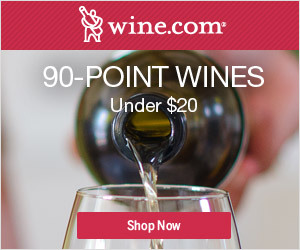 Good Luck – It’s well worth the hunt, as you know! Hi Michaela, Last night, before reading your posting, I was watching a rerun of “The Thirsty Traveller”. 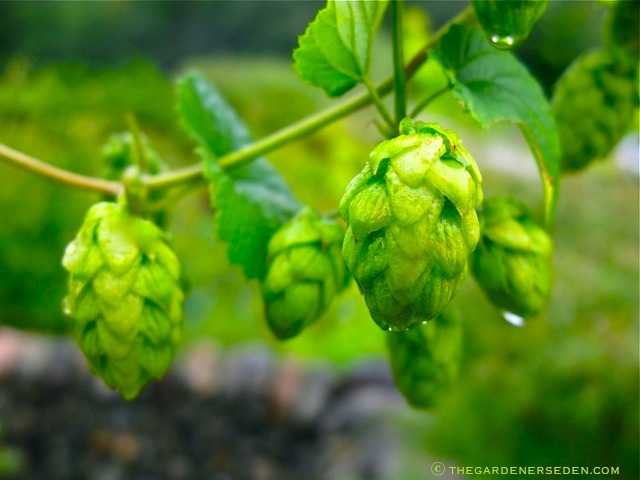 He made his way to a town called Pilsen while exploring the roots of the original pilsner beer, Pilsner Urquell, in the Czech Republic and I couldn’t help but be amazed by the vigorous growth habit of the hops used in beer making! Well, when I hopped online (sorry) and saw what you’d written about, I almost fell out of my chair! Having a good chunk of my blood originating in Germany (and Holland) I suppose having a particular fondness for European beer could be expected. But this attraction to the Golden Hop Vine (almost deja vu?) is only matched by how I feel about the Ironwood/Hop Hornbeam trees that grow in the hedgerows here. 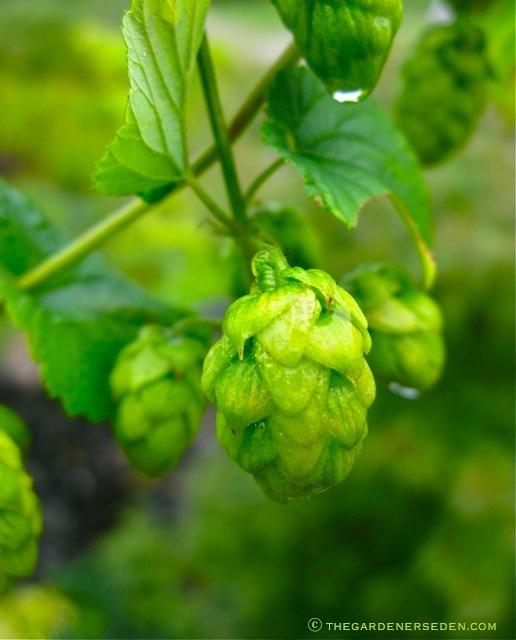 I absolutely love the feel and the papery sound that the “hops” make when rubbed between my fingers. Call me weird, if you will, but I feel a certain attraction to some trees more than others, Beech being my absolute favourite ( the Irish believe that faeries and/or spirits make their home in Beech trees). You are currently reading I’ve Got Sunshine… On a Cloudy Day: Humulus Lupulus ‘Aureus’, Beautiful Golden Hops Vine at The Gardener's Eden.